Network of trails. I ride a 7 mile loop. Great training ride. Windy, twisty, a lot of turns. Not too tech. Big chain ring or fixed gear compatable. Love to show you my loop. E-mail me and I really will! Review: I'll never even bother bringing a mountain bike here. Many of the trails have roots, rocks and berms since this place allows dirt bikes, NO 3 or 4 wheeled ATVs. I rode here once with my dirt bike and got lost quickly! Many of the trails intertwine with trails that either lead to a dead end or someones backyard. My advice is stay away from the unpaved road next to the water tower parking lot, its full of loose rocks and step ups, you will hate it! 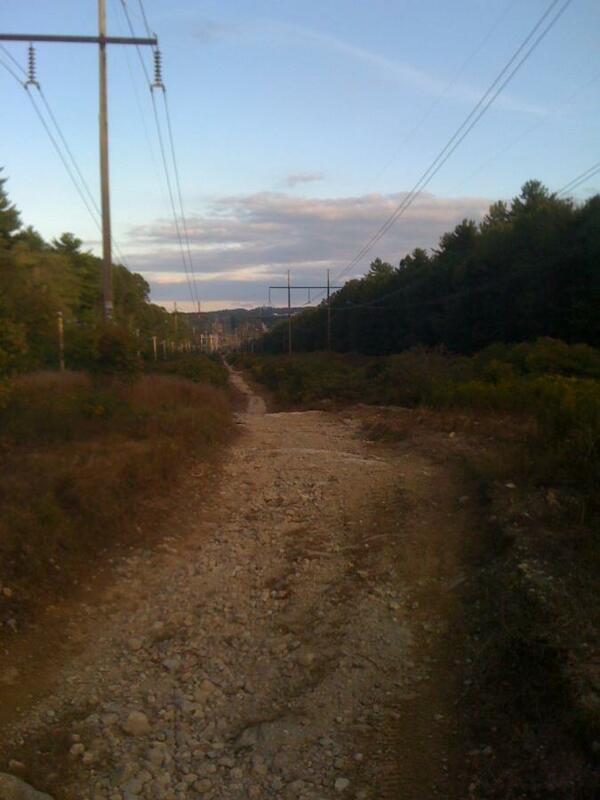 You could hook up to the power lines for better trail riding, but i'm not sure if its legal. Hodges village Dam has way better trails, better maintained, marked and easier to navigate. 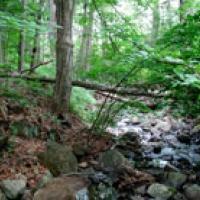 Review: I usually ride the vietnam trails in milford. Franklin state forest is rideable i guess, not much more than that. Though i cant speak for every section, i did the north western loop on the map, it was super loose and rutty from dirtbikes. Because of this, the muddy/wet spots are super soft... my front tire was swallowed up to the the disc rotor a couple times. The soft dirt is kind of fun to fishtail down a dissent but basically impossible to ride back up. If they didnt allow motors these trails would prob be amazing. I normally love wet/muddy days in vietnam, but in this place it was kind of miserable. Prob wont go back with my bike. Review: Motorcycle trail after motorcycle trail. Lot's of berms, rutty in some places but rideable. In some spots super fast and fun, others kinda slow going... mostly due to trail cover more than anything else. All big trees (blow downs) are cleared out, but as the motocross crew probably don't care, there are plenty of derailleur thefts out there. Trails wind in around themselves up and down the hillside. Fun place with a full suspension, can really get slamming down the rocky rooty trails hitting berms keeping speed up... a hardtail might make you pay... Decent enough ride, but no parking available at water tower as indicated on DCR map (it's gated off)... parked at YMCA - legit? Review: Trailhead atop Forge Hill Rd (I parked @ YMCA lot). Fun ride for what I rode. Majority were winding dirtbike worn singletracks with many burms, ruts and holes filled with mud. You had your share of blow downs and rocks/roots, too. Slight inclines, only. One trail leads to another w/o any signs/markers. A 6 out of 10 for technical. 8 out of 10 for speed. Franklin State Forest MTB Trail 3.00 out of 5 based on 4 ratings. 4 user reviews.